About The Moody Law Firm Inc. The Moody Law Firm, Inc. (Moody, Strople, Kloeppel & Higginbotham, Inc. and its predecessor firms) is a national law firm headquartered in Portsmouth, Virginia. It was founded in a one room office space in 1958 by National Trial Lawyers Hall of Fame 2014 Inductee and America’s Top 100 Attorneys Lifetime Achievement Recipient, Willard J. Moody, Sr., who was a renowned and highly respected attorney, trial lawyer, and civic leader in the City of Portsmouth, who served in both the House of Delegates and the Senate of the Commonwealth of Virginia. Over the many years, The Moody Law Firm has grown and diversified under his leadership and management, by emphasizing strong client relationships, tireless responsive legal service, and a committed personal-touch in representing all clients relentlessly. 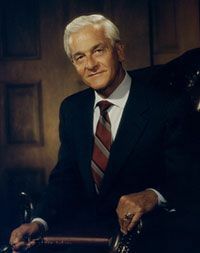 That very same legendary drive and commitment he exuded and stood for, is the very cornerstone The Moody Law Firm stands for in all we do and represent today. Our quality attorneys are licensed in Virginia and many other states, including Alabama, Florida, Mississippi, North Carolina, Ohio, and West Virginia. Additionally, through our vast network of attorneys in other states, The Moody Law Firm provides legal representation in every state of the Union. General Civil and Criminal Trial Practice in all State and Federal Courts. Negligence, Federal Employers Liability Act: FELA, Railroad Accidents and Injuries, Railroad Crossing Accidents, Railroad Liability, Railroad Safety, Personal Injury, Medical Malpractice, Workers Compensation, Drugs & Medical Devices and Products Liability Law. National Association of Retired & Veteran Railway Employees, Inc.
NARVRE is the only Federally Chartered Railroad Retiree Organization in the industry having for its sole purpose the promotion, protection and preservation of our railroad retirement pension system.